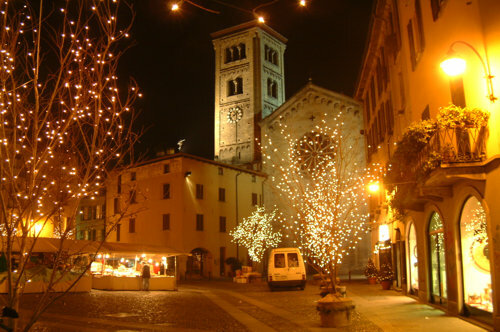 It is in the center of the city, in the homonymous public square; it comes from the addition of a longitudinal nave to a previous early Christian church, dedicated to Santa Eufemia, dated back to the VII century. In the 964 it was dedicated to Saint Fedele, a roman soldier who, imprisoned for being Christian, escaped until Samolaco where he was taken prisoner and suffered martyrdom. 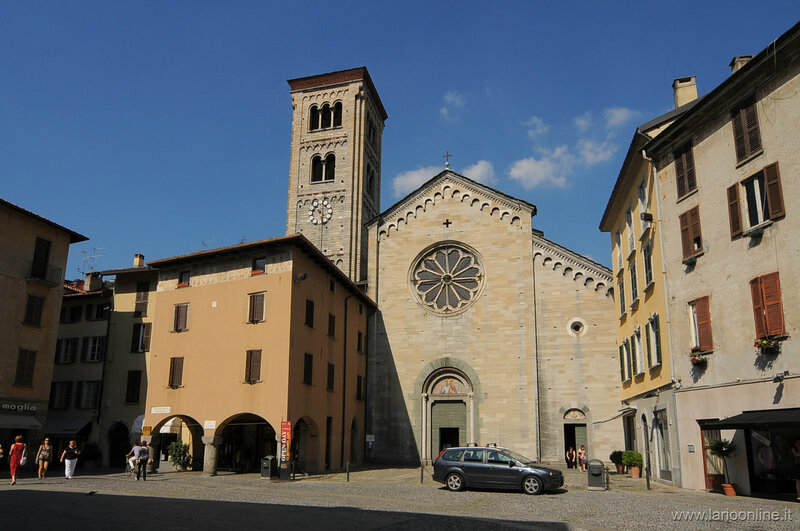 On this place was constructed a little church known with the name of Saint Fedelino, from here the relics of the saint were moved in the early Christian church of S. Eufemia that, from that day, has taken the name of San Fedele. The complex had various rebuildings and restoration works from 500 to our century. 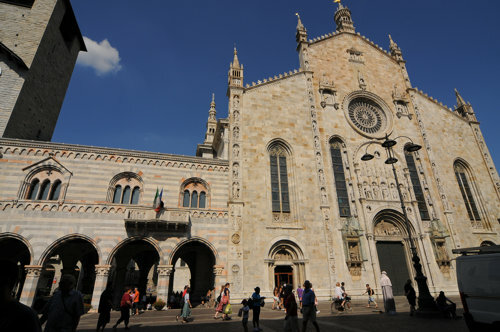 The facade, with double lancet windows and trifore, planned from the engineer Giussani, is dated back to centuries VIII-IX and belonged already to destroyed S. Eufemia. Very interesting is the high apse, measured with an elegant porch and the lateral portal that has sculptures of the beginning of the XII century. The posterior portal, shaped like cuspid, is rich in decoration with reliefs of Romanesque sculpture. The interior, with three naves, is embellished by numerous works of art, between which we remember the two holy water fonts, dated back to centuries VIII-IX, already standing in the destroyed S. Eufemia, the scattered frescoes of the end of the XIV and beginning of the XV century, the paintings of the XVI century that represent - the Marriage of Mary-, - the Nativity- , - The announcement to the Shepherds- and the Chapel of the Crucifix with the stuccoworks of Diego and the canvas of Carlo Innocenzo Carloni, two intelvesi artists of the first half of the XVIII century. Important historical pole of the walled city, ancient seat of the market of the grain. On the public square two houses of the XVI century that have overhanging porchs, wooden and bricken structures disposed like fishbone, according to a constructive technic of Nordic origin. 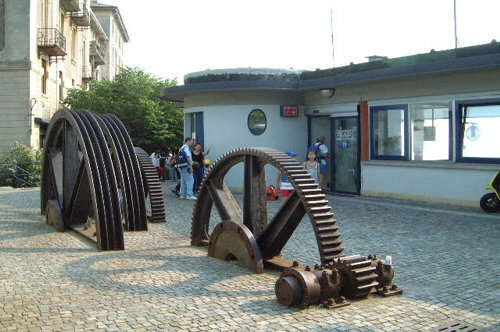 The Como-Brunate railroad, that connects the lake with the mountains, was opened in December 1894.
rful structure risen in dominant position, rebuilt by the Barbarossa towards the half of XII century.